FLOOD APPEAL: Marny Bonner from the Lismore Carboot Market pictured with Lismore City Councillor Eddie Lloyd, are keen to promote the appeal. DO YOU still need help after the flood? Lismore City Council is calling for applications from those hardest hit by recent flooding to access Lismore Flood Appeal assistance. The Lismore Flood Appeal Steering Committee has more than $200,000 to distribute and would like to hear from local residents struggling to get back on their feet. 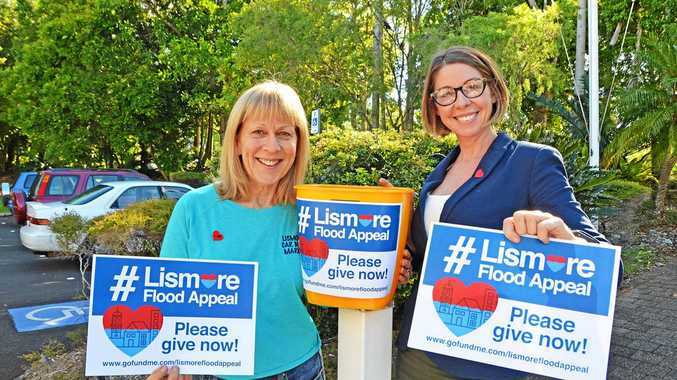 The Lismore Flood Appeal Steering Committee is aware that people are exhausted by the aftermath of the natural disaster and tired of filling out forms, but an application process is necessary to assess need and ensure adequate acquittal of the funds. Council has created a simple, one-page application form to make the process as easy as possible for those in need. 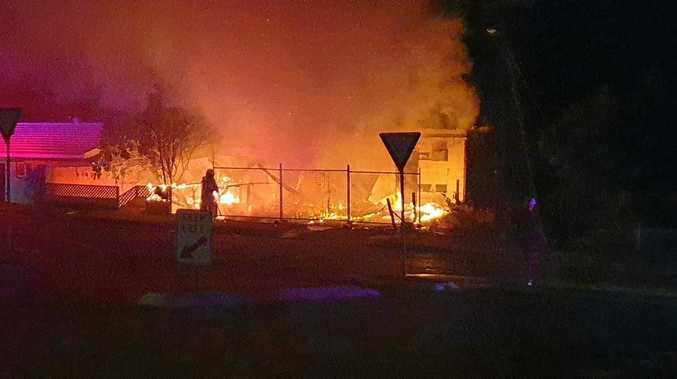 "We will have a two-week application period after which we will assess people's need and immediately distribute funds straight to people's bank accounts,” Lismore City Councillor and Lismore Flood Appeal co-chair Eddie Lloyd said. "We want to start getting money out to people as soon as possible so they have funds at the right time to help them rebuild their lives. These funds are for those worst-affected and who find themselves in financial or material hardship and need some help to get their lives back on track. Eddie said she was humbled by people's generosity and would continue to try and secure more donations for the Lismore Flood Appeal. "Hundreds of people have donated money from near and far, from organisations like Suncorp and City Toyota that have given big sums to people who passed around a bucket at the local footy match. It's been amazing,” she said. Application forms are now available online at www.lismore.nsw.gov.au and at Council's Corporate Centre, 43 Oliver Avenue, Goonellabah; Lismore Library, 110 Magellan Street; and the Lismore Visitor Information Centre. Flyers including the application form will be distributed to all households in flood-affected areas next week and partner organisations such as Social Futures will also promote the grant process. Free photocopying is available at the Lismore Library, Lismore Visitor Information Centre and Council's Corporate Centre, and a Council staff member will be available in the Lismore Library foyer at the following times to help with form completion.
. 2pm - 4pm Tuesday, May 2 and Tuesday, May 9.
. 9.30am - 11.30am Thursday, May 4 and Thursday, May 11. For more information about the Lismore Flood Appeal application process, phone Lismore City Council on 1300 87 83 87. IN PERSON - over the counter at the Lismore City Council Chambers, 43 Oliver Avenue, Goonellabah.